More Heroes than a Comic-Con | Half Heart. Whole Life. It stands for Lucky Unlimited Cardiac Kids, and it’s a great program for our heart warriors. 2014 is an amazing year because the hard-working Camp Luck team worked together to develop a new program called Baby Luck, which provided support for heart babies and toddlers (and their families too!). 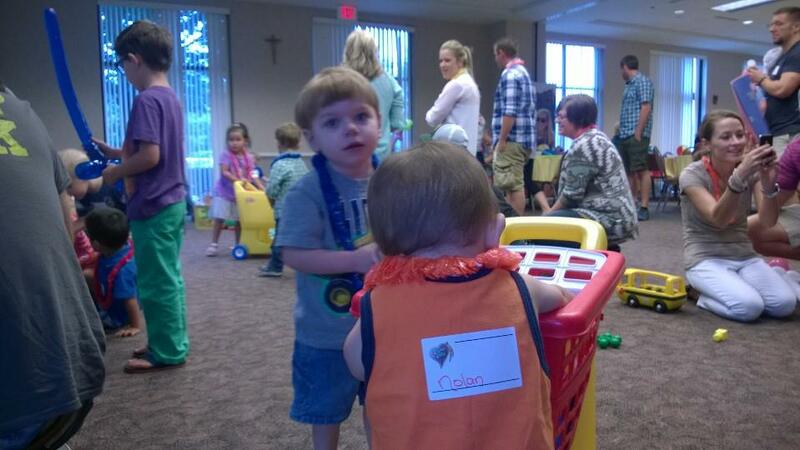 The kick-off to Baby Luck was an awesome luau on August 2nd and I absolutely wouldn’t WAIT! He had his lei and his shopping cart and he was good to go! Even a lot of the heart staff came out to the event, including Nolan’s cardiologist, who said he was happy with Nolan’s walking and our plan to get him off the g-tube. It’s very touching to see doctors, nurses, and nurse practitioners volunteering their time to support heart families…it’s great to know we’re not alone! I had a good time chasing kids, wearing balloon hats, eating lots of ice cream, and mingling with other heart parents. At some point in the day I referred to this meeting as a gathering of superheroes, and that’s so true. There was a room full of kids with their own battles, and the families that love them…and each and every one of them is a superhero because they’ve fought through things that would put us to shame. This was a great time to let our kids be kids, which is so very important. And just as important is the chance to meet other heart parents and support one another. So a big-time shout out to Camp Luck and the Baby Luck team! So looking forward to more gatherings, more fun, and more friendship! 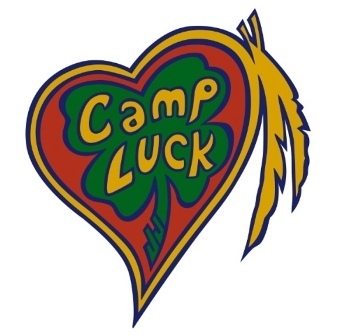 If you’re in the Charlotte area, go to the camp luck website (http://www.campluck.com) for more information. If you’re not in the area, I hope that there’s something just as awesome where your hero can connect with other heroes. The Avengers got nothin’ on Heart Warriors! Posted on August 29, 2014, in awareness and tagged Baby Luck, Camp Luck, CHD, congenital heart defect, heroes, HLHS, hypoplastic left heart syndrome. Bookmark the permalink. Leave a comment.